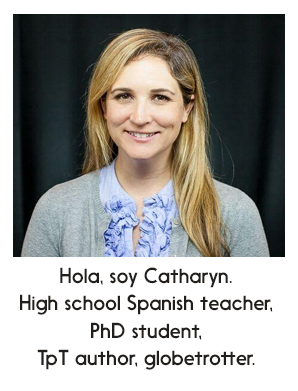 I'm always looking for new ways to connect with and engage my students. With all the superhero movies coming out this summer and beyond, I figure it's about time we give a little credit to LOS SUPERHEROES... en español! 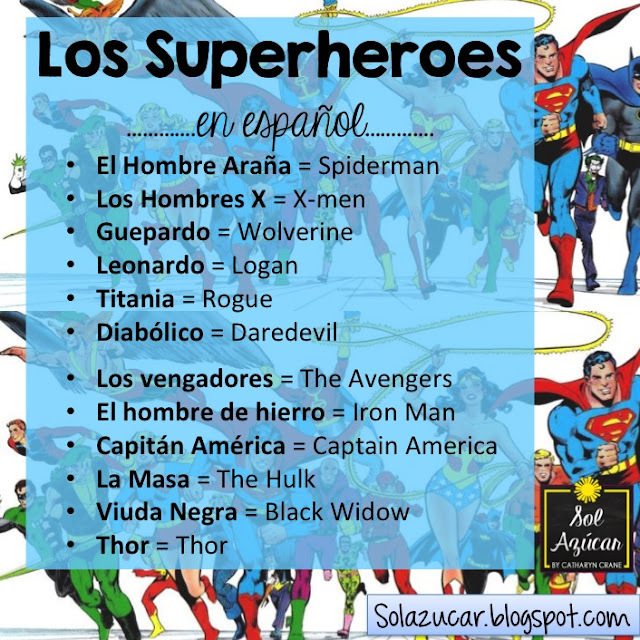 Many of the superheroes have their own Spanish language translations, while a few just stick with their name no matter the language (yes, Thor is too fabulous for a name change across languages). I get so sick of Spanish practice activities that use Pablo... and Paco... and Jimena... and Raquel... and all those other super cliche Spanish names. Planning to spice up a number of my activities with superhero names, this year. Why not?! For even more Superhero names in Spanish, check out Ralph Dibny's post "¡Vivan los superheroes!". 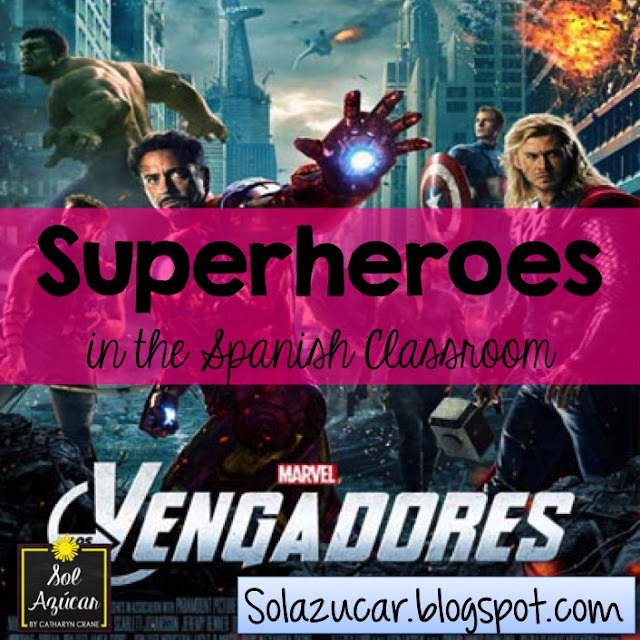 I've been incorporating the superheroes (with much success!) in my verb conjugation race games (we affectionately call the game "Minuto Loco" ... it is a crazy minute-long race indeed!). I give students a verb and tense, and they conjugate it for a long list of subjects. Here's where the Pablo, Paco, Raquel, etc. subject list can get really boring. So now many of my subjects for these games are superheroes. Just spices things up a bit! Check out my Minuto Loco races that I have for sale (these ones are complete with Spanish superhero subjects). But you can easily create this game yourself without the fancy worksheets. For sure. How might you incorporate these into your teaching?